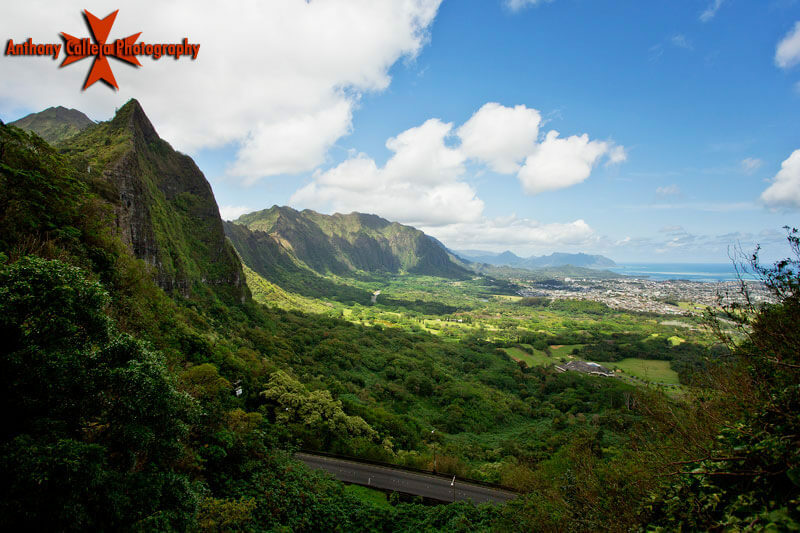 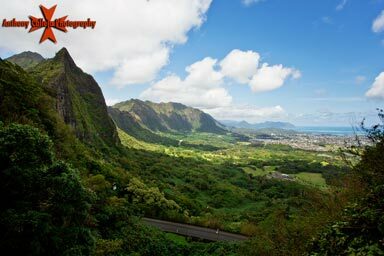 Nuuanu Pali State Wayside (Pali Lookout) is a historic site that provides an impressive, 1,200-foot view of the Windward side. 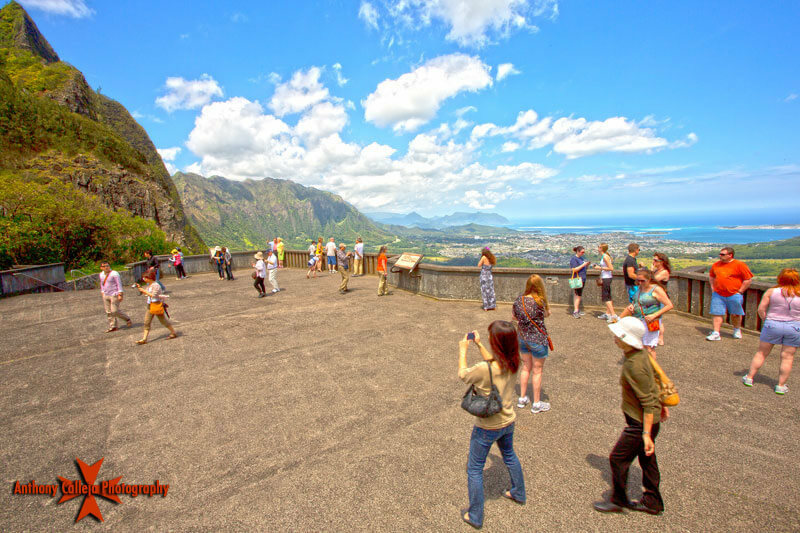 This is the site where King Kamehameha I conquered Oahu in one of the most famous battles in Hawaii's history. 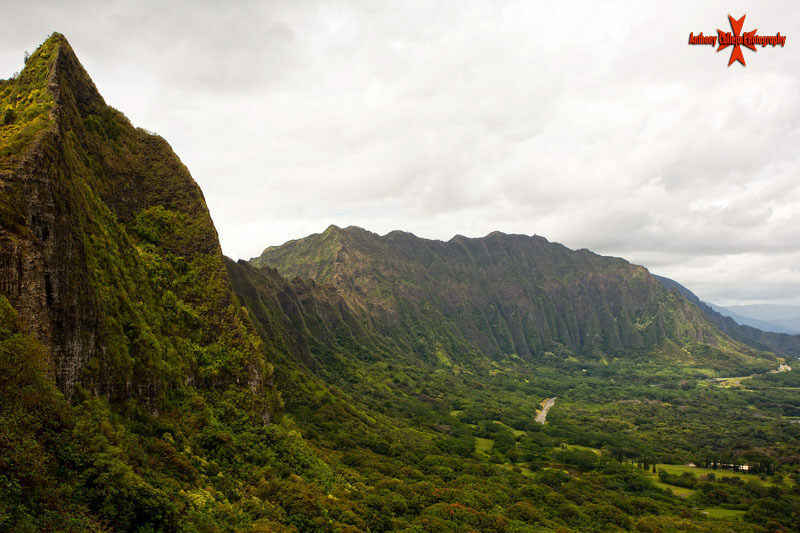 Just a 5-mile drive northeast of Downtown Honolulu, the Nuuanu Pali Lookout offers panoramic views of the sheer Koolau cliffs & lush Windward Coast. 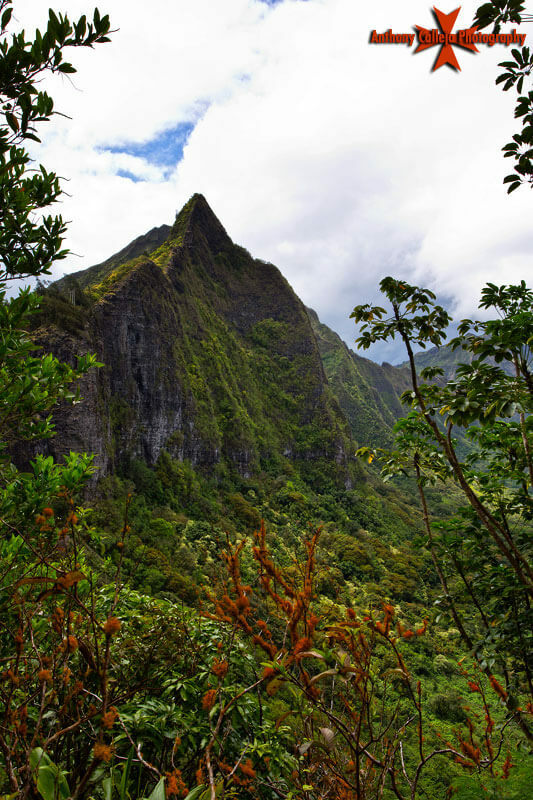 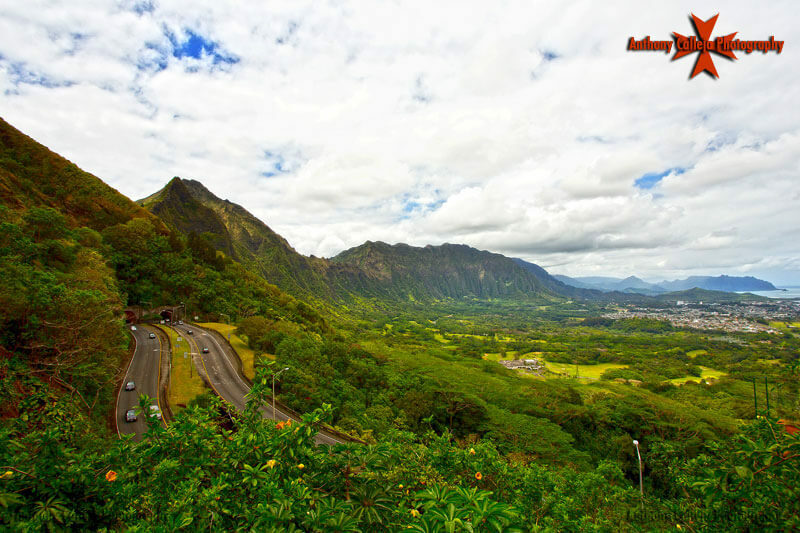 Driving up the Pali Highway through tall trees & dense forests to get to the lookout, you'll see the city disappear & the tranquil beauty of Hawaii's natural landscape emerge.